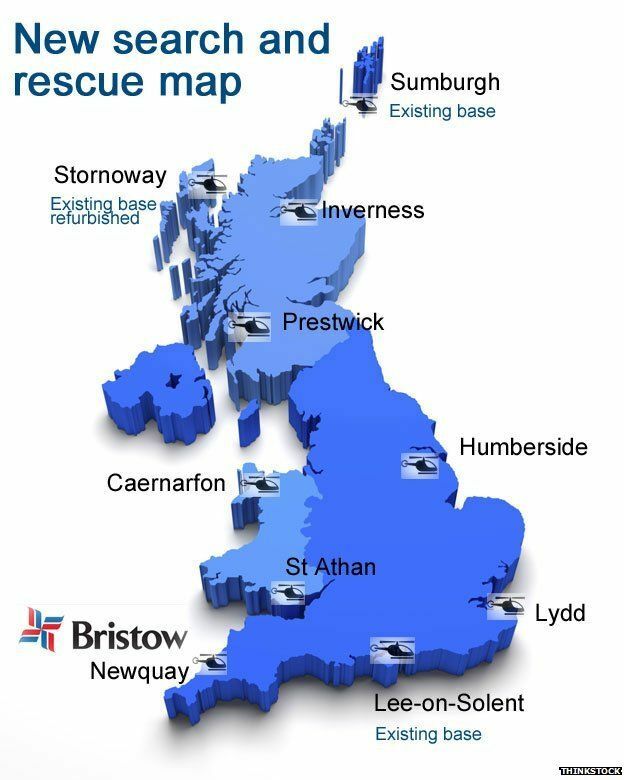 Given the growing number of tragedies on Britain's beaches right now, is there a correlation to the end of Search and Rescue (SAR) by the UK military? I know the S92 has a longer range than the old Sea King and so savings were made with the number of helicopters and distances between the civvy SAR bases - is there a chance that we have spread the assets too thinly? Last edited by The B Word; 24th Aug 2016 at 21:28. Not heard any suggestion that different SAR arrangements would have affected the outcome but people familiar with the circumstances have started a petition to institute local lifeguard patrols. No. Put it down to plain stupidity, same as every year. Most of these people are dead as soon as they go into the water. The only way to avoid that is to have a helicopter hovering above the beach. The Fistral deaths occured next door to the new SAR base and far, far closer to it than Culdrose or Chivenor ever were. Camber is round the corner from Lydd. I'd wager that part of the problem is the huge amount of publicity on TV given to SAR in recent years, making people feel safer, expecting that the minute they get out of their depth a man on a winch will appear out of the sky. Last edited by Wander00; 25th Aug 2016 at 13:41. Reason: none so blind as those that cannnot see their typing errors! "When eat belts became compulsory"
Are they the same as gastric bands? A lackof understanding about the dangers even a relatively benign sea can pose. It's a pity those public information films of the 70s from the Coastguard aren't still shown. That is a very good point that I hadn't considered. It does seem odd that we've had such a run of them of late - if it continues then it must be that something has changed. I'll leave the thread running in case new points, such as those so far, which might point to another reason. A lot of people forget that the primary purpose of RAF & RN rescue aircraft were for the military themselves. Civies came second. If a helicopter was on route to a civilian incident and a military requirement popped up, they would divert. However, now that its all privatised, I'm not sure where priorities lie. ps - the thread title should read 'end of RAF provided, land-based, civilian using, SAR'. ps - the thread title should read 'end of Royal Navy and RAF provided, land-based, civilian using, SAR'. In recent days a young woman has been rescued three times in four days by the RNLI at Looe. Sadly these days unless a large notice says don't do this or that people seem to blunder in to the most silly situations. Here in Cornwall 771 Squadron is remembered with much gratitude but the Coastguard service seems to be doing a decent job judging by local reaction and of course they have the advantage of modern equipment. "In recent days a young woman has been rescued three times in four days by the RNLI at Looe" - maybe buying her a subscription to uniformdating.com would be cheaper? I'm not sure how you can draw any correlation at all. If there was a correlation, surely people would be dying on the beaches close to the locations that the military service had been withdrawn from? So, for example, Chivenor was a military SAR base, but there hasn't been any increase in the number of deaths in the area just because Chivenor closed. Same applies up at Boulmer - no big increase in deaths just because there is no SR service on the doorstep. The sad events in Newquay a couple of weeks ago were down to pure bad luck and a horrendous turn in the previously benign sea conditions - the SAR helicopter was on scene within a few minutes, as was the Air Ambulance and the RNLI (there is a SAR base on the door step much closer than the Navy SAR at Culdrose was hence were on scene much quicker) but events unfolded too quickly even for the beach lifeguards to deal with. So, no correlation at all - I know people want to try and blame anyone they can for these sad situations but unfortunately, it's time to face up to the fact that sometimes accidents happen, and sometimes people need to take personal responsibility for their own safety. As for the new SAR service - yes, technically they're a Coastguard asset but tasking is allocated on the basis of urgency and clinical need by a central tasking authority and this includes a huge amount of inland work if you want to know how they're performing, ask the North Welsh, Scottish or Lake District mountain rescue teams. From what I've seen on social media and the MCA website, it all looks very positive. The primary purpose of RN rescue aircraft at Culdrose and Prestwick was civilian SAR - funded by the DTI. The RN continue to provide SAR with their helicopters. .From what I've seen on social media and the MCA website, it all looks very positive. Not sure if it's funny or not but it is very positive. Aircraft starts almost every time, and yet to have only three of us on the aircraft. Will the P8 aircraft have a SAR capability - long range maybe? For Mil only or civvy use as well?